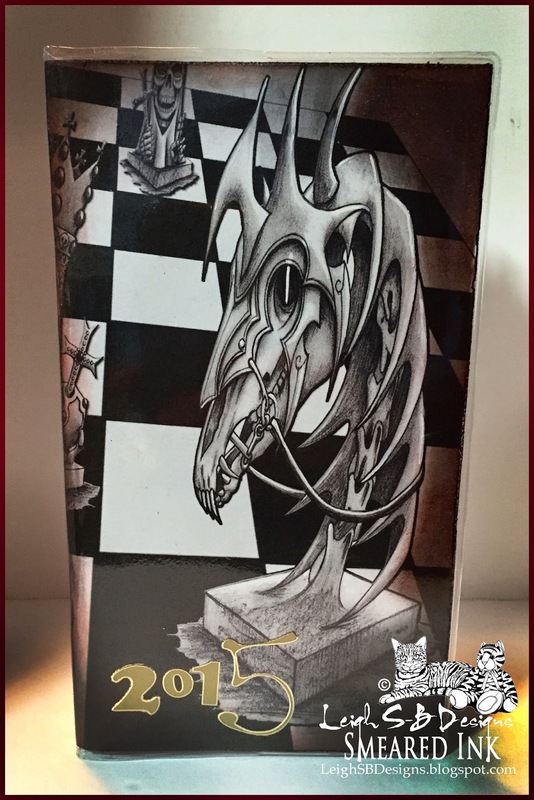 Velvet Paw Creations: Grandmaster Daily Planner - DT inspiration at Smudgy Antics! 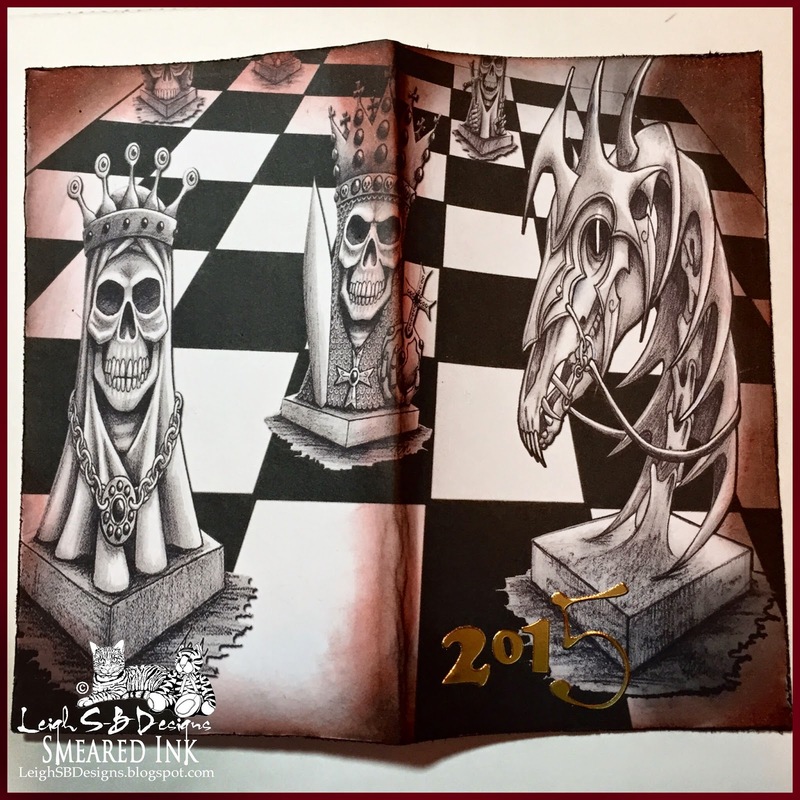 Grandmaster Daily Planner - DT inspiration at Smudgy Antics! 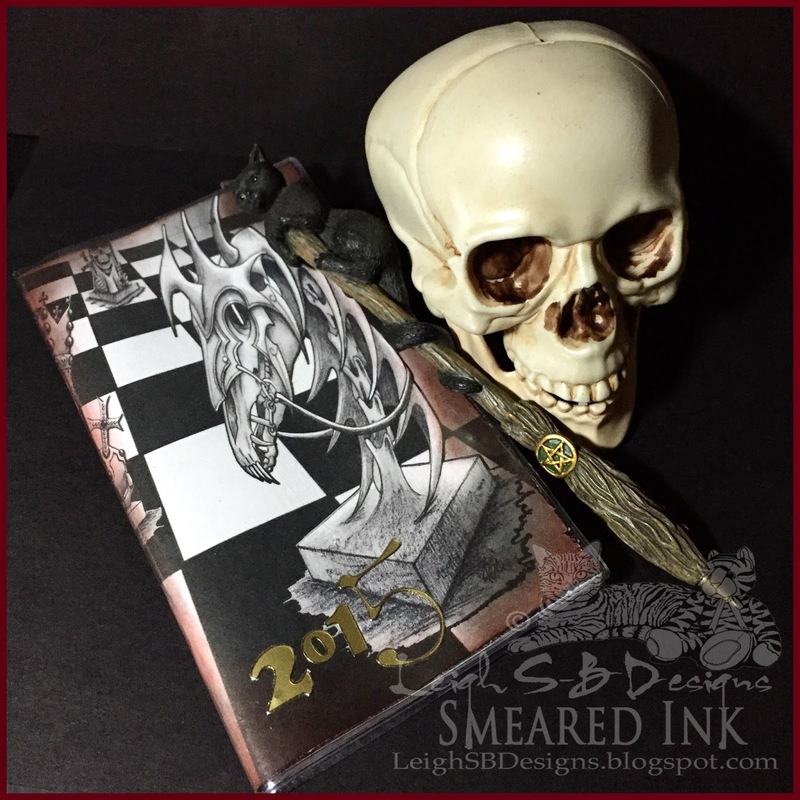 YAY, I've re-joined the fabulous Smeared Ink design team and here's my project for my 1st DT post on their Smudgy Antics challenge blog where we now inspire you every day. Smudgy Antics challenges are always "Anything Goes" so stop by and check us out if you haven't already done so! You all know me, I LOVE game related imagery so I just HAD to use Smeared Ink's new digis called Grandmaster to alter the cover of my 2015 daily planner. I designed the chessboard in Photoshop CS6 and skewed the perspective and then added the various Grandmaster imagery and altered the perspective on each one to fit the warped view of my chessboard. The finished design was printed out onto white cardstock, adhered to the daily planner covered with double-sided tape. The edges were distressed and Fired Brick and Black Soot Distress Inks applied to all the edges including the spine. A touch of white gel pen detail was added to the Knight, which you can't see very well in the pix, but it's there and I added the year "2015" to the cover in metallic gold peel off stickers in various fonts to add to the quirkiness. I just love my new daily planner! The planner with the plastic protective sleeve on! My favourite chess piece has always been the Knight so of course I HAD to feature it on the cover. The King and Queen are glorious images too so they took center stage on the back cover! Also, you don't want to miss our upcoming annual Bloody Valentine Blog Hop on Feb 11, 12 and 13! 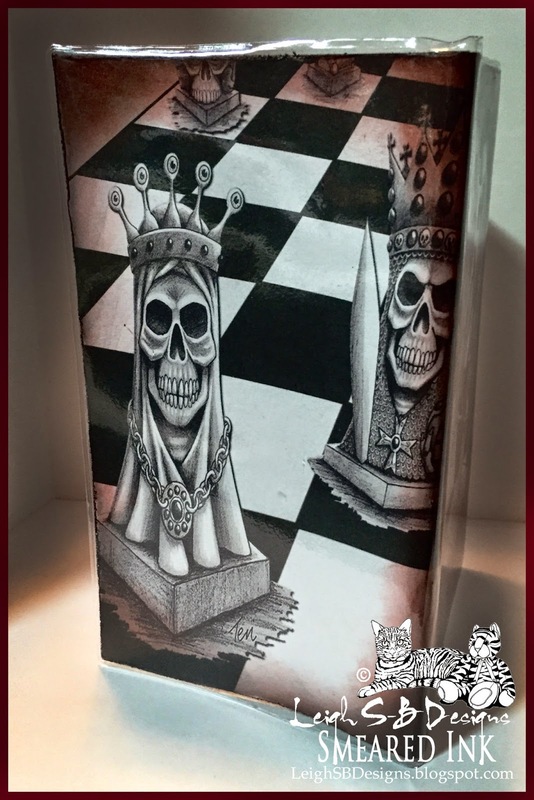 It's always a wicked cool event with lots of amazing creations on view and you can read all about it here at More Smeared Ink! Sign up deadline is Feb 9 so don't miss it!